Donate to BOMA - The Boma Project The BOMA Project | Help end extreme poverty for women and families in the African drylands. 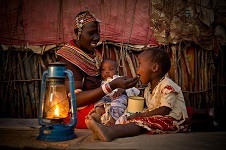 Help end extreme poverty for women and families in the African drylands. Your support can help thousands of families forge their own path out of extreme poverty and break the cycle of dependence on humanitarian aid. Please help us reach our goal of 1 million women and children by 2022. Donate 100% - Add 3% so that 100% of the donation goes to The BOMA Project. The BOMA Project has partnered with Network for Good to securely process your online credit card payment via Network for Good (tax ID 68-0480736). This transaction will appear on your credit card statement as "Network for Good." This transaction is subject to Network for Good’s Privacy, Security & Disclosure Statement and the Charitable Solicitation Disclosure.